Greenport is a great place to own a second home. Consider that eclectic boutiques, artisanal food producers and farm-to-table restaurants are within walking distance, the beaches and wineries are nearby, and that the LIRR and Jitney run from NYC and points west. Its vibrant arts, crafts, and culture attract interesting people while a close community of full-time residents, weekenders and retirees lovingly maintain the charming seaside village’s Victorian, Craftsman and Federal-style homes. No surprise, then, that home prices are rising. If your idea of a dream house is something under $1 million, even under $500,000, don’t despair; you haven’t missed the boat…yet. Here’s a primer. Almost a decade after the 2008 financial crisis the real estate market is acting like it never happened. Greenport and North Fork houses mostly held their value and over the past four years prices have been going up fast. 2016 was the strongest year on record since before the great recession and the median home price reached peak 2007 levels, about $533,000, according to data from Suffolk Research Services. However, first quarter numbers indicate that 2017 may see a slight slow-down as prices dipped slightly and inventory was low. Happily, for buyers, this means stability in the middle range, where most Greenport properties fall. The median home value in Greenport at the start of 2017 was $463,800, according to Multiple Listing Services Long Island. An interesting trend is the divergence between the regular and luxury (defined as the top 10% by sales price) markets. It’s as though we have two housing markets; one for the very wealthy and one for everyone else. From about 2011 through 2015, sales in Greenport were strong in the lower end. Buyers were looking for fixer-uppers to be used as second homes or rentals while the luxury end of the market was slow. Generally, this trend has now reversed. Now consider the broader North Fork market, which includes Riverhead. According to the Elliman Report on 2017’s first quarter, the North Fork median sales price was $519,500, down 5.5% from 2016. The number of sales was also slightly down from the same time last year, 121 from 134. Yet the luxury median sales price surged 24.9% to $1,999,000 and the average luxury sales price more than doubled to an eye-popping $3,460,769. Keep in mind that the median is the price of the house right in the middle if you lined them all up from least to most expensive, whereas the average price is the sum of all sales divided by the number of houses sold. So, when a four-acre estate in Cutchogue sold last year for $6.25 million it skewed the average price statistics but didn’t affect the median. The nine next-highest sales on the North Fork ranged from $3.25 million to $2.4 million. Last year was the strongest on record since 2008 for all Long Island and indications are that 2017 is following suit. Long Island had the highest number of sales and lowest inventory for the past 14 years and prices have been on the rise for four years, according to the Elliman Report. Over the next few years, barring external events, prices may continue to rise. For now, the old real estate adage is proving true; there are ups and downs, but in the long haul there’s never a bad time to buy. 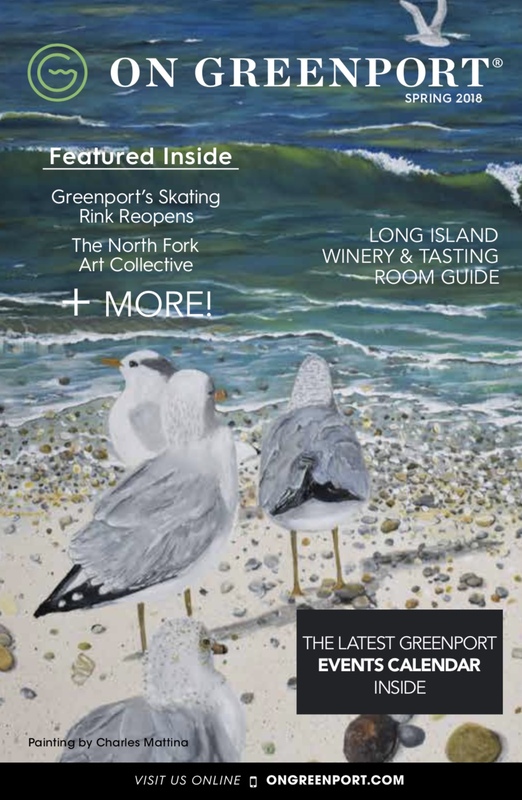 So if you’re thinking of buying in Greenport, now may be a good time to jump in.